I Must Have Two Lives...Two Lifetime Krug Experiences. About 6 years ago I had a once in a lifetime experience. I was invited to Newport Beach aboard a billionaire’s yacht to drink the release of the 1996 Krug with Olivier Krug. A few other wine buyers and myself were driven in a stretch limo from San Diego to the Newport Beach harbor, drinking the Krug Grand Cuvee all along the way. When we arrived we were greeted with an exquisite oyster, lobster and crab bar…with of course more Grand Cuvee. 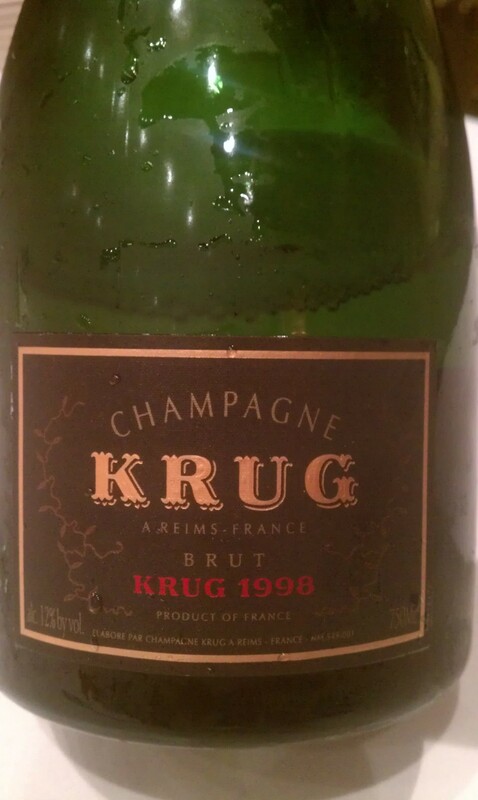 As the night progressed, Olivier came out and poured the ’95 vintage Krug. Here you have 20 sommeliers from LA and San Diego getting absolutely Krunked in style. 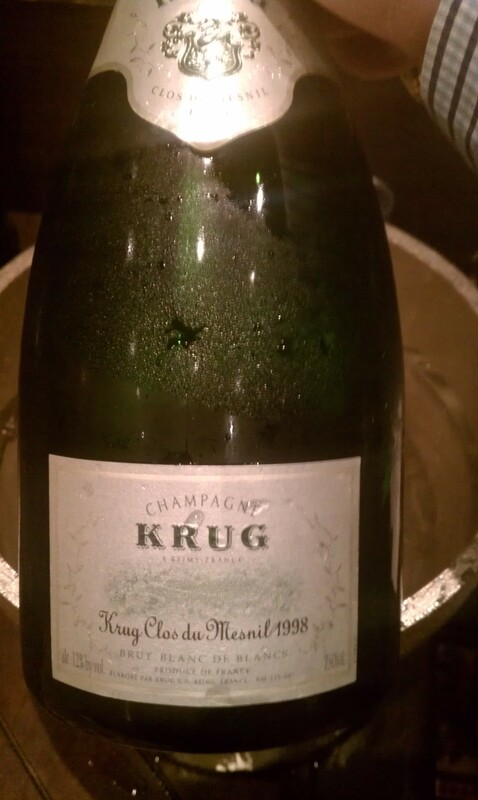 Finally, the ’96 Krug was opened for the first time on the west coast. 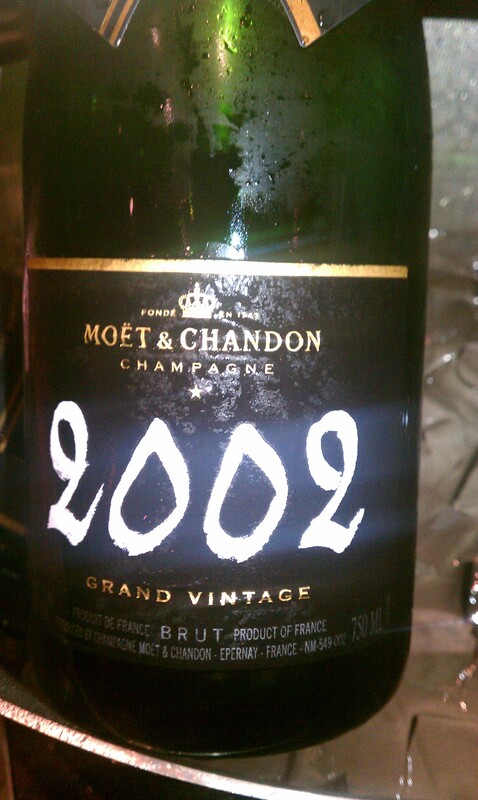 The Champagne was young, It had only been aging for 6 years, and it definately needed another 10. However, that did not deter us from enjoying every last bottle. If my memory serves me correctly, I think we continued drinking Krug all the way back to San Diego. So I guess I have two lifetimes. On Tuesday July 10th, I had the another once in a lifetime experience. This time I was invited to the Grand Del Mar, where Jessie Rodriquez hosted Moet-Hennessy. I was there with 3 other wine professionals and we were taken through a tasting of the best of the best from the Moet-Hennessy portfolio. I don’t tell you this to brag, but it was pretty awesome. 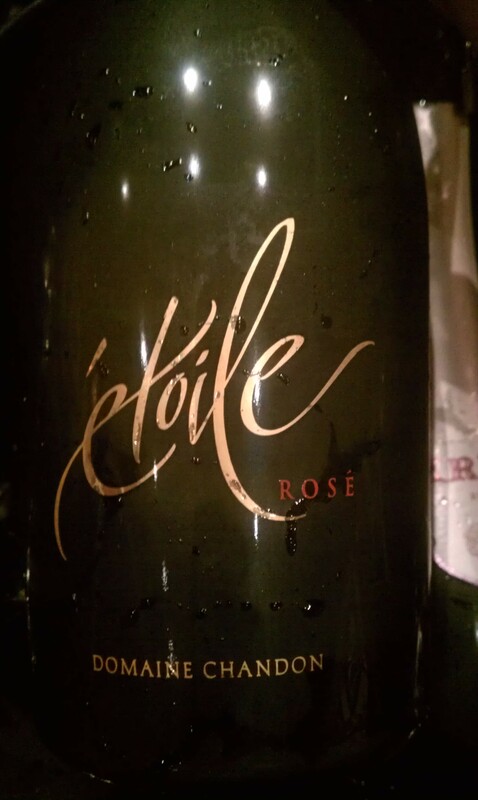 We started with their property in California, Etoile Brut and Etoile rose. 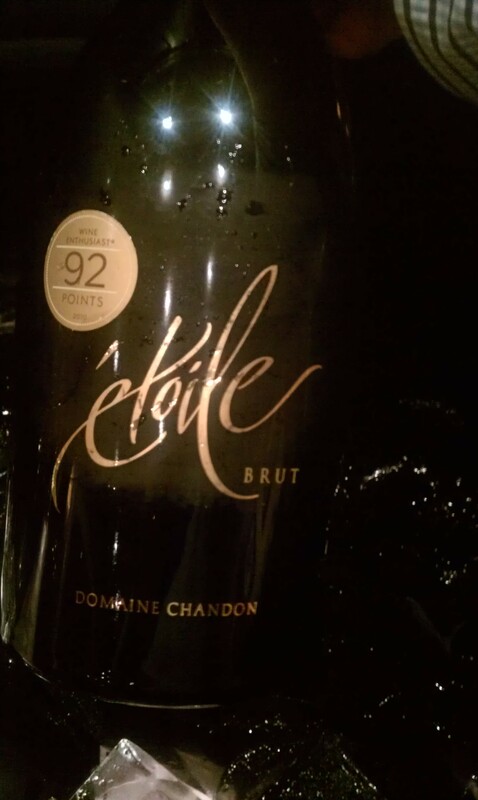 The Brut had apple and pear aromas with excellent acidity. The Rose had more strawberry notes, was flinty and creamy. It sat leaner on the palate than the Brut. 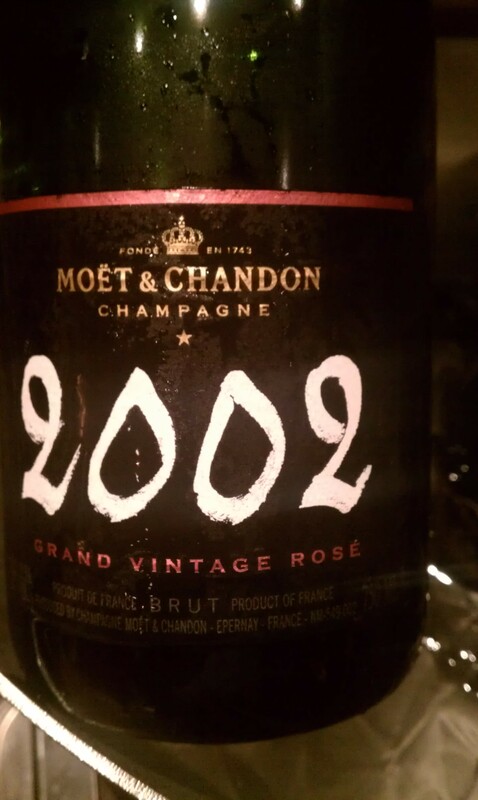 We then moved on to Moet’s property in Champagne, Moet & Chandon Grand Vintage 2002 Brut and Grand Vintage 2002 Rose. The Brut was light, creamy with hints of toast and finished with green apple. The 2002 Rose was more based in dark fruits and yeasty. The wine was bright with long lasting acidity. Moving right along through Champagne we were served the 2002 Dom Ruinart Blanc de Blanc. A complete different style, one grape (Chardonnay) sourced from 6 Grand Cru vineyards. On the nose there was a toastiness backed by pear and yellow apples. The wine was a lot more delicate, bright and fluffy. Like it was Champagne made on clouds. The tasting kept progressing with style when we were served Veuve Clicquot Vintage 2004 Brut, Vueve Clicquot Vintage 2004 Rose and the Veuve Clicquot La Grande Dame. 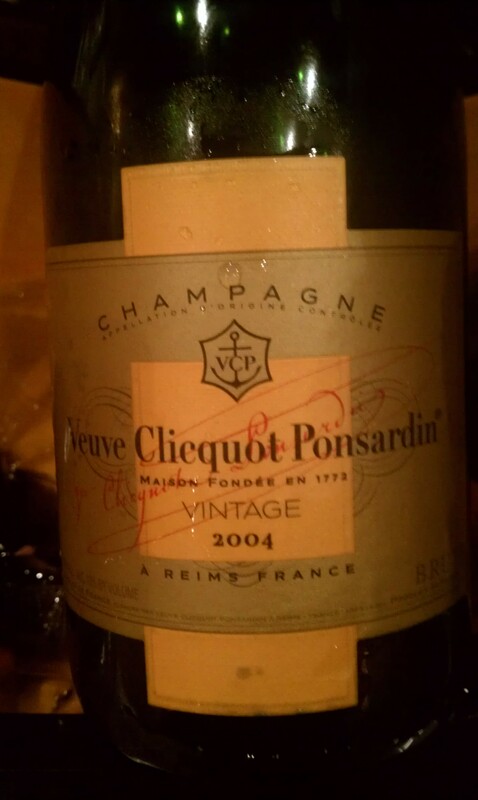 The 2004 Brut was upfront with fruit, soft on the palate, with minerals and toast. The fruits were of white peaches, citrus and orange rind. The 2004 Rose was super rounded with cherry and other red fruits and excellent acidity. It is incredible to think that 8 people sit around the table tasting wines from different Champagne vineyards trying to match year after year a house style for their Rose. 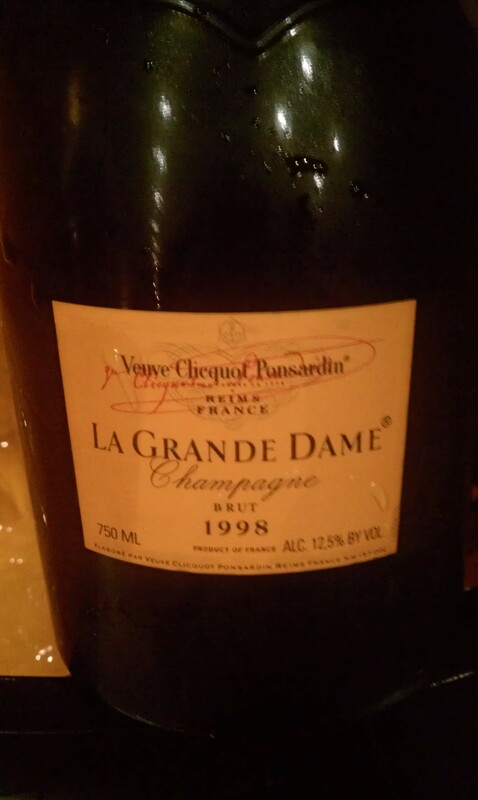 Finally, La Grande Dame had more oxidized notes such as sherry and ripe apples. It was creamy on the palate and retained excellent acidity. 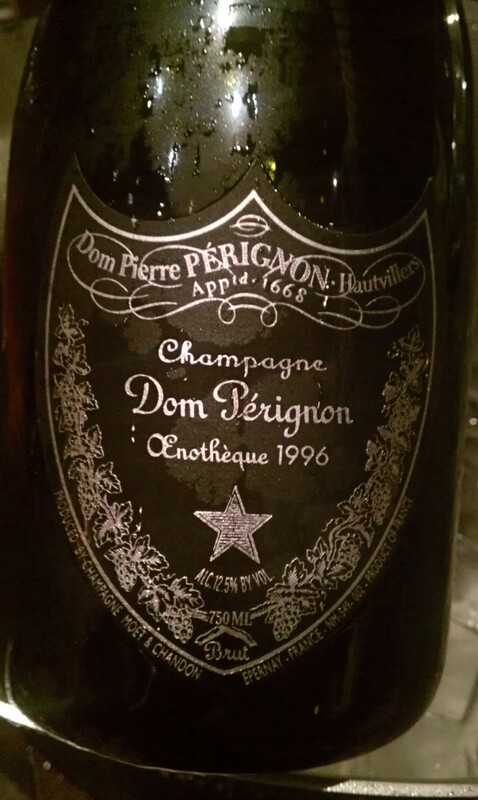 We could have been served plain old Dom next, but no; Moet- Hennessy had to bring it. 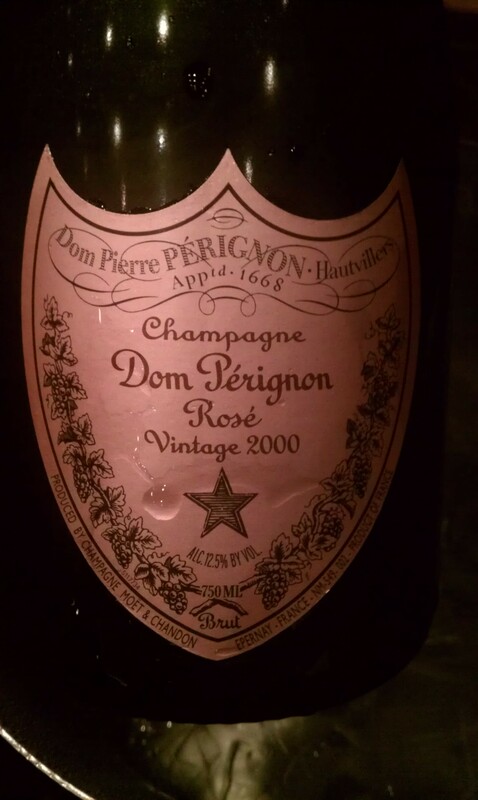 They brought out Dom Perignon Oenothèque 1996 and Dom Perignon Oenothèque Rose 1996. Oenothèque means the “Wine library”. These wines sit 6 years longer on the the yeasts which prevents oxidization. The grapes are more rigorously selected and of course, it is only made in exceptional years. These wines are not for toasting at a New Years party, but made for a serious dinner. They are aching to be paired with lamb and other meats. The Oenothèque brut had a straw yellow color with aromas of mushrooms, earth and nuts. The bubbles were small and had an extremely long finish. Absolutely delicious! The Oenothèque Rose ’96 had a pretty pink-salmon color. It’s brightness was blinding. This wine had so much structure that I forgot it had bubbles. All I could say is that it was tongue sucking delicious. 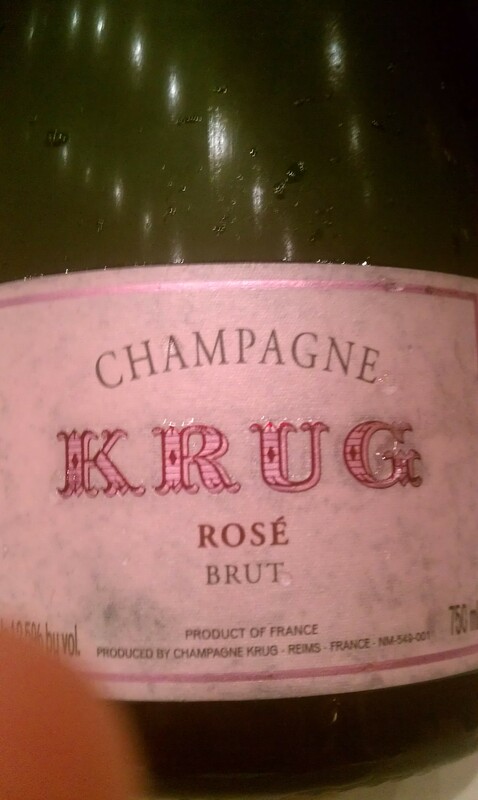 And then I got Krunked…drunk on Krug. Well actually no, I didn’t get drunk in the traditional way of blood alcohol, but drunk with LOVE. Krug is just so much better than the rest! These wines take 20 years to make. The basic idea of Krug is to make the best Champagne, to reach perfection every year. The Grand Cuvee is still being made using fruit from 1990. In 2003, while other houses were making vintage Champagne; Krug sold all their fruit because the vintage was not good enough for Krug’s cuvee. Their motto is Quality not Quantity. The first Krug served was the 2000 Vintage. It is made from 3 grapes from one vintage and several vineyards. On the nose it had a rolling rock aroma of a mossy wet stone, and green apples. It was creamy and nutty with fresh citrus flavors and passion fruit. Its finish was long and I would’ve been pleased by just tasting this, but there were two more glasses waiting for me. The Krug Rose is made from 3 grapes, anywhere from 4-6 vintages and is aged for 6 years before release. It is only produced occasionally and hard to find. On the nose there were aromas of both earth and fruit. I got aromas of pomegranate, berries, mushrooms and stone fruits. On the palate the wine was exquisite, with small bubbles and a long lingering toasty finish. The next Champagne was the Krug Clos du Mesnil Blanc de Blanc 2000. Pure magic! It is a wine made of 1 grape from 1 vineyard. There is something really special about those grapes in the Clos du Mesnil, this wine was incredible. It had a vibrant straw yellow color with an aroma of cognac. Aromas kept developing with brioche, toast and spring blossoms. On the palate, it was divine! So creamy, dry and rich all coming together with a flinty finish showing homage to its home. Absolutely amazing! I must have two lives! I had two once in a lifetime experiences!